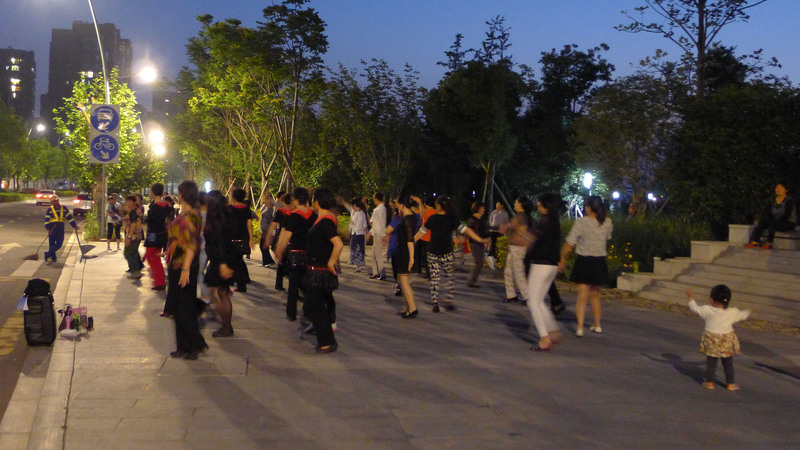 Major regeneration is underway along Yong River to transform it into Ningbo’s National Hi-Tech District. Located 5km east of the city centre, the 83-hectare Platform Park is the centerpiece of this urban development, providing a significant open space for adjacent new communities, technology sector, universities and cultural facilities including an historic temple. 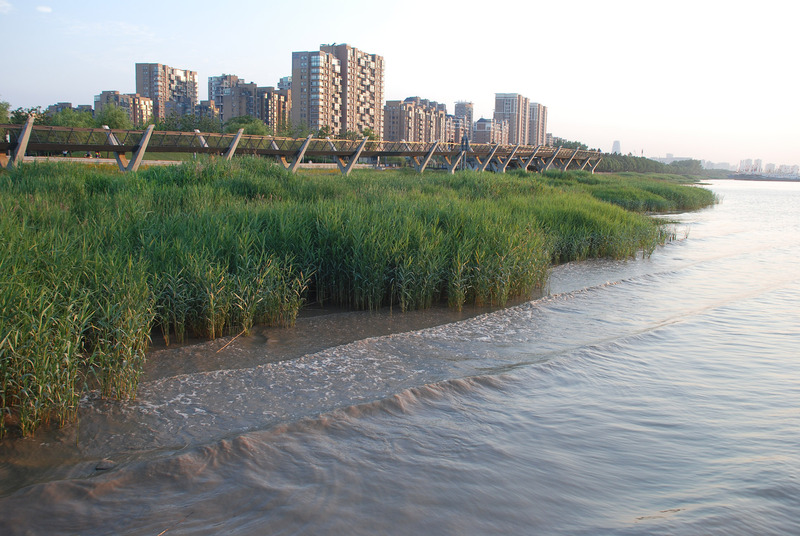 The site sits behind a flood protection levee and forms part of an important ecological corridor connecting Yuyao and Fenghua Rivers to Hangzhou Bay. 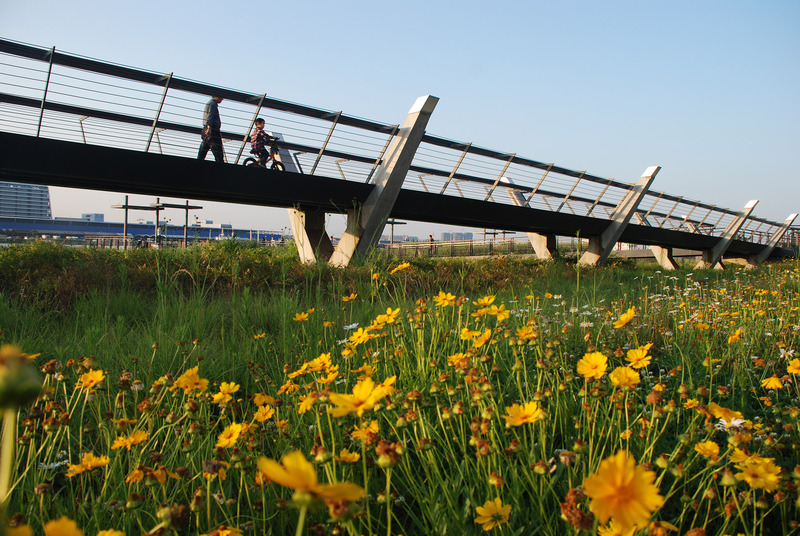 Given the site’s rich resources, an urban design framework was developed to create a series of ‘platforms’ promoting social interaction, providing opportunities for education, cultural discovery and strengthening ecological systems between the new district and waterfront. 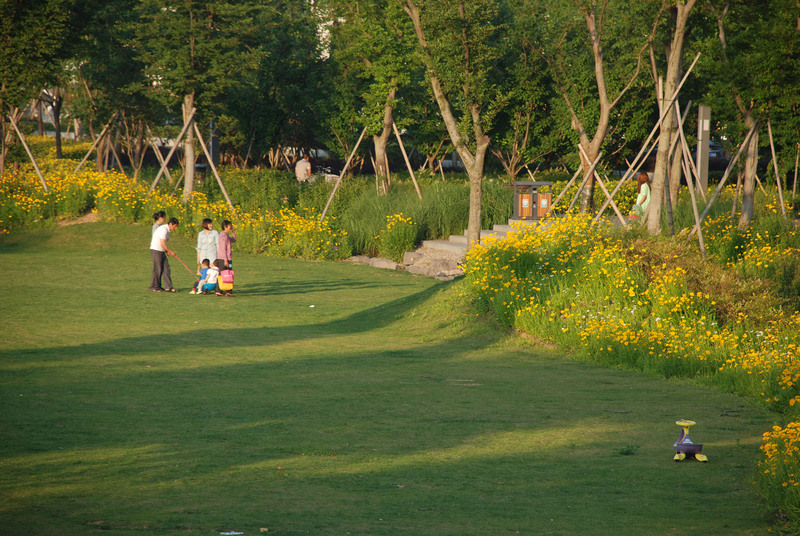 Typical of urbanisation in China, local villagers were relocated into new affordable housing on the western end of the park. These dense, high-rise apartments have poor open space provision and are dominated by hard surfacing, discouraging physical activities and contact with nature. The concept of a ‘Platform Park’ manifests in new green space and a structure that dramatically intersects with the levee, merges with plazas, and rises up at key locations to maximise river views. Phase 1 of the park was completed in 2013, providing a much-needed community space for local residents, especially multi-generational families. 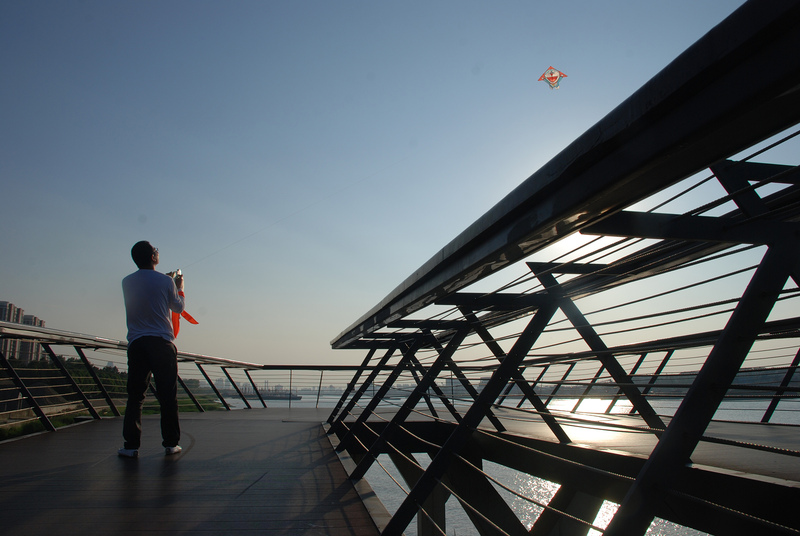 The park transformed the way people connect to the waterfront, providing safe continuous access for recreation and social activities. 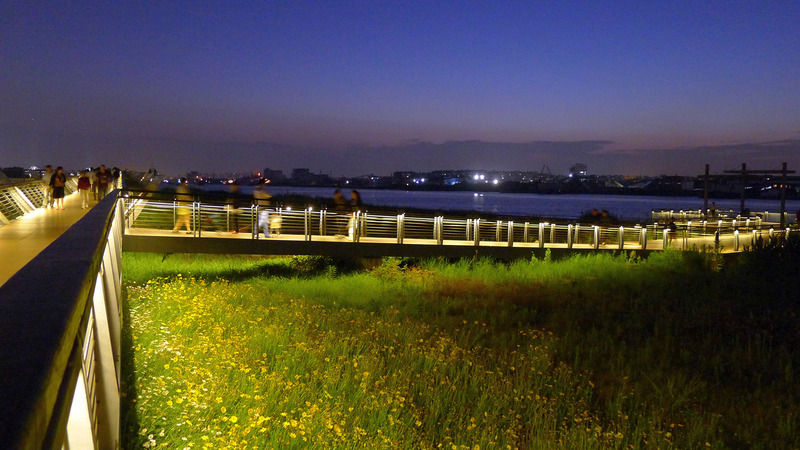 Old docks became viewing decks for observing wildlife on tidal mudflats, while indigenous wildflower meadows provide a colourful and water-sensitive habitat for precious fauna.